Pharmacologic pain management is one of many treatment options available to provide pain relief and a better quality of life. Depending on your acute or chronic pain condition, our professional pain management physicians may decide that pain medications are ideal or they may suggest other interventional procedures. It is important to know that medical pain management treatments may not eradicate all of your pain, but instead reduce how much pain you have and how often it occurs. The focus of pharmacologic pain management is on alleviating your pain symptoms by administering prescription (Rx) or over-the-counter (OTC) medications. If this form of pain management is determined the best course of action in treating the condition and severity of your pain, there are a variety of medications from which your physician may choose to administer, prescribe, or recommend. While some of the medications listed above may be used in combination, others may not. Our management of polypharmacy – or the administration of many drugs together – will ensure that treatment is appropriate for you and your pain condition. In some instances our physician may apply a multimodal approach, which effectively combines multiple treatments, such as NSAID and physical therapies, which work well together and reinforce each other to produce the best possible outcome. There are risks – potential side effects, drug interaction, possible addiction or liver damage – associated with many medications, whether they are prescribed or available over-the-counter. Be sure to tell your doctor about any allergies, current medications, and use of vitamins or herbal supplements before taking any medication. You may also be asked to disclose your medical history and your family’s medical history so that our pain management physicians are able to discern predisposed or genetic conditions. 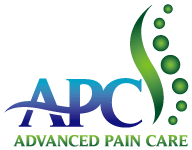 Pharmacologic pain management may just be the treatment that works best for your acute or chronic pain condition and if so, our pain management center will assist you along your journey to pain relief and a better quality of life.